Our SwingClear Hinges gives you up to 2 inches of extra clearance through doorways. 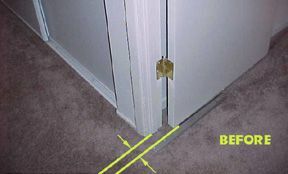 This can make the difference between a Walker Leg or Wheelchair getting through a doorway or not. 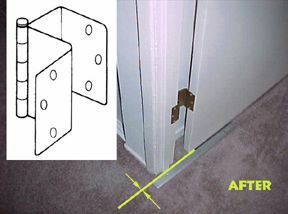 SwingClear Hinges are cost effective and can be installed to fit on most residential doors. No additional hardware is needed. These "Z" shaped hinges use the same screws and holes as your existing hinges. SwingClear Hinges are designed to swing doors completely clear of the opening when the door is opened at least 95° This is an economical alternative to the major expense of changing doors and door frames.